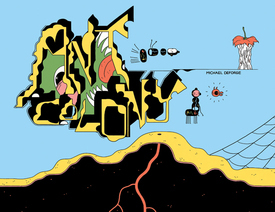 It's here: the deluxe full color, 112 page, horizontally formatted hardcover collection of Michael DeForge's internet work, Ant Comic. 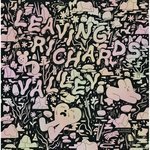 A high intensity allegory rendered in dazzling full color and employing DeForge's personal cartooning language to great advantage, Ant Colony is a wholly original work that is not to be missed. In the words of no less a comics authority than Jaime Hernandez, "DeForge is one of those rare comics naturals and Ant Colony proves it."